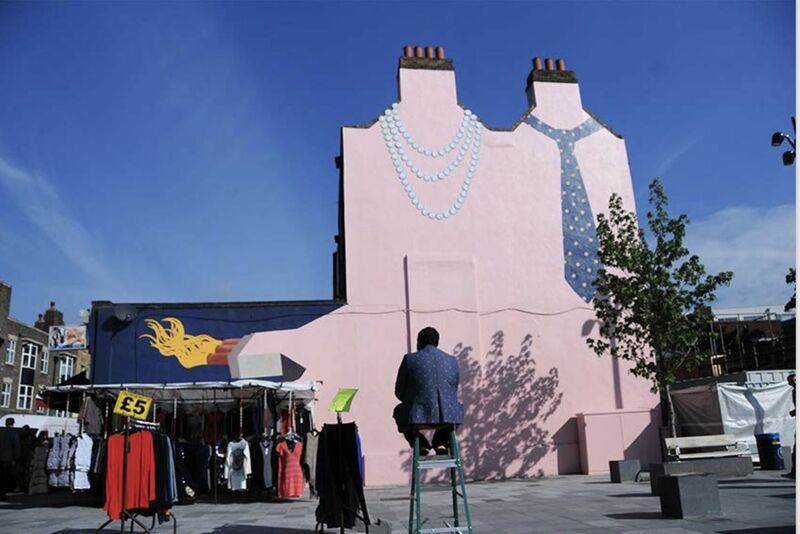 An 18th birthday celebration of His’n’Hers public art mural in Deptford, the story of it’s creators and their journey involving communities in London and refugees in Jordan. Launch night: Friday 5 April 8-11 pm. Open, interactive workshop on the night. Discussion Panel & Fundraiser Event for project in Jordan: Sat 13 April 7pm (Bar open till late). What constitutes an Artmongering act? Who owns public artworks? Can people use them to make money? When we first had the idea for His’n’Hers mural, we initially discarded it for being too silly, but having failed to come up with a cleverer one, we had no option but to settle for it. We suspect it might be this apparent silliness that helps it resist the passing of time. 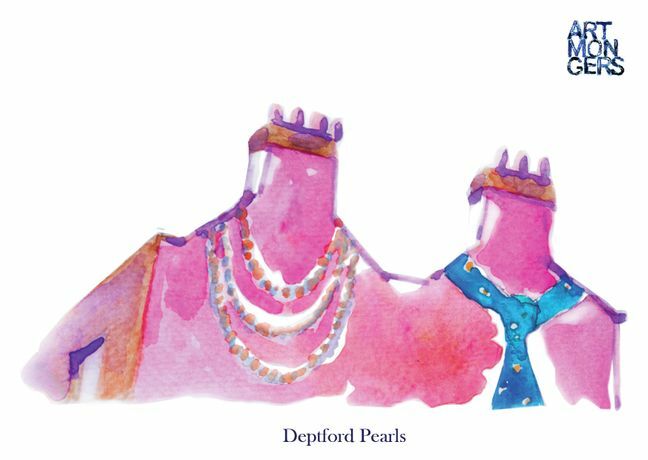 Having initially painted it for no money during the early years of Deptford X back in 2001, the image of two chimneys being humorously linked to the human figure has, surprisingly and inexplicably, become something of an icon of Deptford. The mural does not intend to represent its local community, or its demographics, but offers a welcoming — even mocking — alternative to the often harsh realities of the neighbourhood. A bit like a quirky alien had landed on the High Street. Today, we celebrate our mural’s ‘coming of age’ with a show that began with an open call to local people, who have produced alternative versions and unusual photographs, taken and shared on social media. We have also worked with people with special needs (Heart and Soul), and homeless people (999 Club), as well as children from Tidemill Primary to bring to you a diverse body of work that extends beyond what we can offer as artists. An unexpected twist in the life of the mural is that recently its image has been featured and sold in posters and t-shirts made by third parties who make money off of it, but don’t feel they owe us anything. To disrupt this, we’ve created our own merchandise, which will be part of the exhibition and available for purchase. We will also be debating the issue of intelectual property of public and participatory works at our event on the 13th of April. 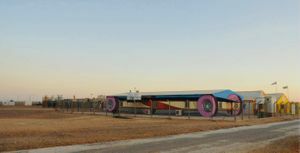 Pictures of His ´n´Hers and murals in Azraq Camp, Jordan available on request.